Infor mation Management Assoc iation    Dr. Igor Nichiporenko     Dr. Evan Boyar          Dr. Ivan Puente     of the ribs or opening the chest cavity. 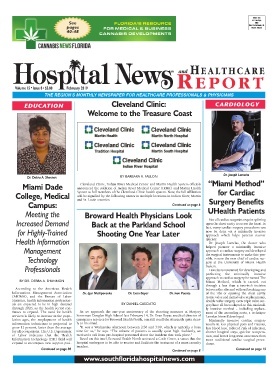 services is likely to increase as the popu-  Stoneman Douglas High School last February 14, Dr. Evan Boyar, medical director of   Lamelas himself developed. expand to encompass new support posi-  hospital undergoes to be able to receive and facilitate the treatment of a mass casualty   dures.